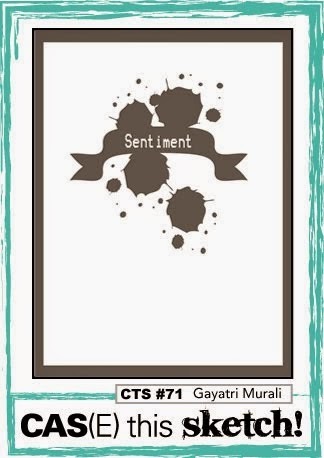 I could have chosen any of the beautiful new florals from Stampin' Up's spring/summer catalogue to make this design but I was feeling wistful for an old friend so out came Summer Silhouettes. The leaves and flowers were stamped in a triangular shape using two of the turquoise-ish colours: Coastal Cabana and Island Indigo. The banner is from one of the stamps in the Apothecary Art set. It was too long so I cut it down and hid the join with the fussy cut sentiment. No-one would ever know...! The sketch I used comes from the ever-inspiring CAS(E) this Sketch. The Easter holidays have begun so life has gone into overdrive again! My youngest son took pity on me and offered to go to the supermarket for me today. I rummaged around in the cupboards to see what we needed while he wrote the list. "We'll need sprouts," I said. "How many?" asked my son, writing it down. "Hmm, let's see - about 16," I said. "And we'll need a couple of parsnips." He looked up. "Two?" he asked. I nodded. "Yes, and could you get a pat of butter? Just one." He twinkled at me and launched into song: "And a partridge in a pear tree!" LOVING the SU order here - wahoo!! 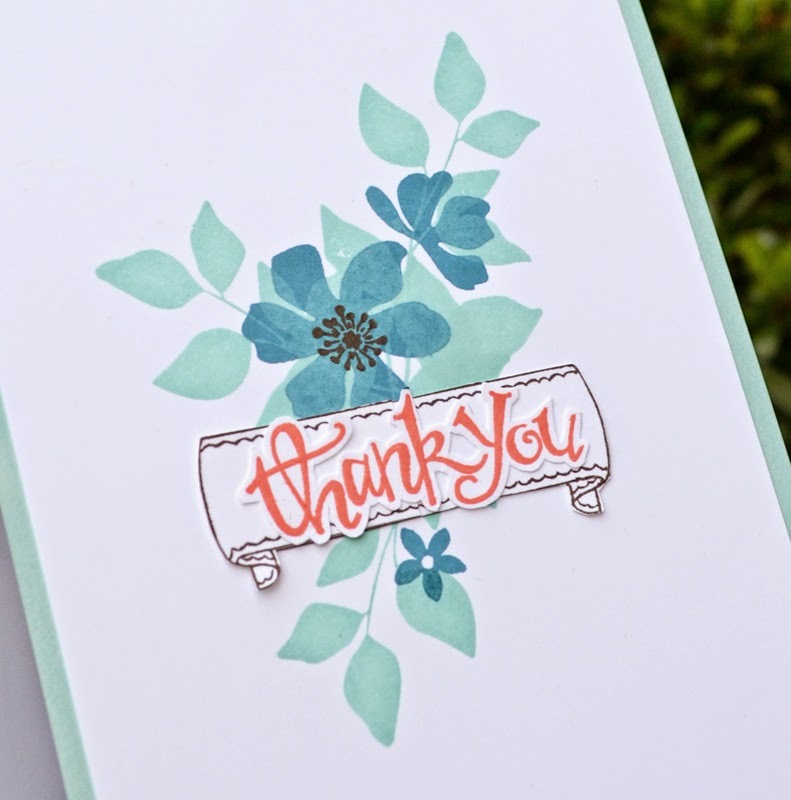 Turquoise and orange are a fabulous combination, what a very pretty card! Vicky, you are totally WOW'ing me again, you continue to make the loveliest creations!!!!!! So glad you share them with us!! Vicky - this is gorgous. I love the pop of coral with the turquoise and the join is very well hidden! Vicky this is so pretty-and what a fabulous take on the inspiration! I really like your take on the sketch - it's absolutely beautiful! I do like the way you made the banner too! That's an absolutely DELIGHTFUL card. LOVE that colour scheme and the way it's been stamped. Beautiful! This is a very pretty card, nice arrangment for the images. Hi Vicky, White cards with a splash of colour always looks so fresh and crisp, don't they (?) and the pop of coral looks terrific. I'm teaching a class next Saturday "white with one" but so far my mojo seems to be having the weekend off ! Oh well, back to browsing magazines for inspiration! Dear Vicky - what a great card as always.. the touch of coral really makes it pop.. so just right.! Love the two tone flowers with the hint of coral - very striking! This is beautiful Vicky, I'm never disappointed visiting your blog! What a perfect take on the sketch! Simply lovely card, Vicky. The touch of coral is delightful.